​Etsy's total active sellers rose 9% annually to 2.1 million in 2018, and its active buyers grew 18% to 39.4 million. Read the full article on Motley Fool, which is mostly about Etsy's revenue and GMS (gross merchandise sales). Here's a recent article that highlights some Etsy trends. Tigers, tie-dye, crystals, desert, peel stick wallpaper and the 70s are popular searches on Etsy. ​If you are new to Etsy, you probably aren't aware of the fact that Etsy ranks listings based on many factors and one of the big ones is the price of shipping. 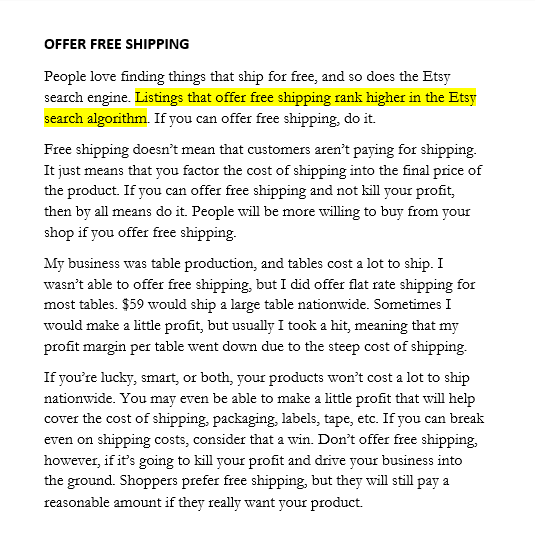 If your shipping prices are too high, your listings may not even appear in someone's search results.